March 16, 2017 – Free Bluegrass Jam session! 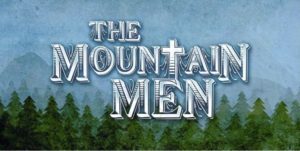 Bring your acoustic instrument and jam along with the Mountain Men as we play some old tyme Bluegrass/Gospel/Traditional music. If you can play a few chords then come join us, or just come and listen in if you like. The Mountain Men are a local Bluegrass group who will lead the jam session. Come play the old standards and maybe learn a new song or two. This will be a slow to intermediate level. http://mountainmenmusic.com/wp-content/uploads/2018/07/Bluegrass-Christmas-791x1024-300x151.jpg 0 0 mmadmin http://mountainmenmusic.com/wp-content/uploads/2018/07/Bluegrass-Christmas-791x1024-300x151.jpg mmadmin2017-02-10 20:40:512017-02-10 21:05:53March 16, 2017 - Free Bluegrass Jam session! Saturday July 23rd, 2016 – All day Christian Music Concerts Free Concert in Rome on Saturday June 10 @ 4pm!